From creating stunning homes for wonderful customers to being humbled with award wins, 2017 has been another excellent year for Excel Home Design. 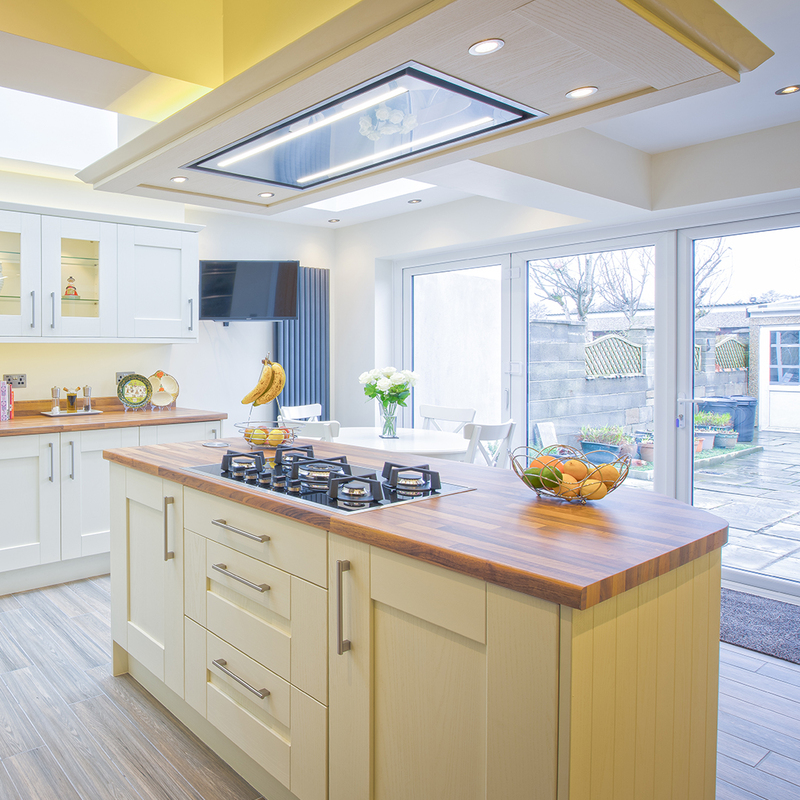 We have thoroughly enjoyed taking Excel Home Design from strength to strength this year. Thanks to our fantastic customers and the expertise and professionalism of the Excel team, we have really added to our portfolio of developments that fit with our ethos of “Designs For Living”. Here are just a few of our highlights from 2017. 2017 started with the completion of a very inspiring project that had two distinct parts. The first aspect of the project called upon Excel to intertwine a 200-year-old historic farmhouse with a contemporary, split-level Sunroom extension and balcony. The split-level Sunroom extension and balcony enables the family to enjoy and appreciate their home and garden in new ways. The appeal of this development is evidently apparent for truly breathtaking visual impact. 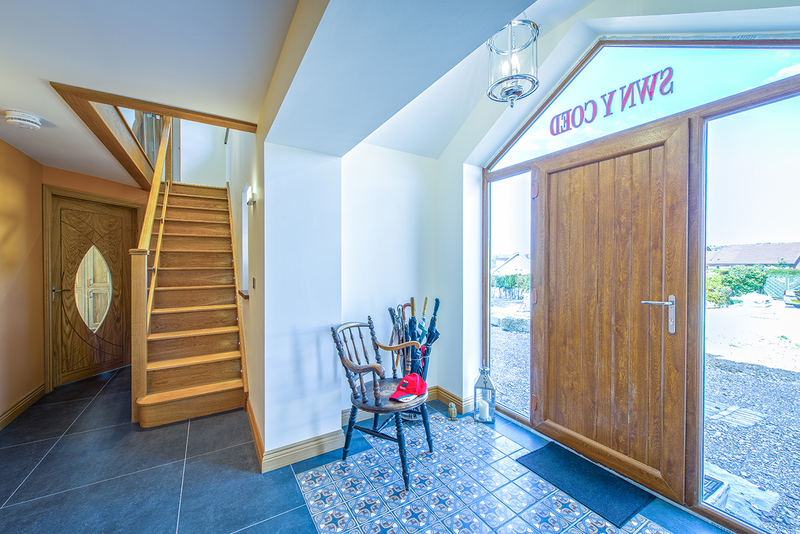 The second aspect called upon us to create an inspiring new office developed from an old cowshed. The development again combined aesthetic appeal, the highest quality materials and latest technology. 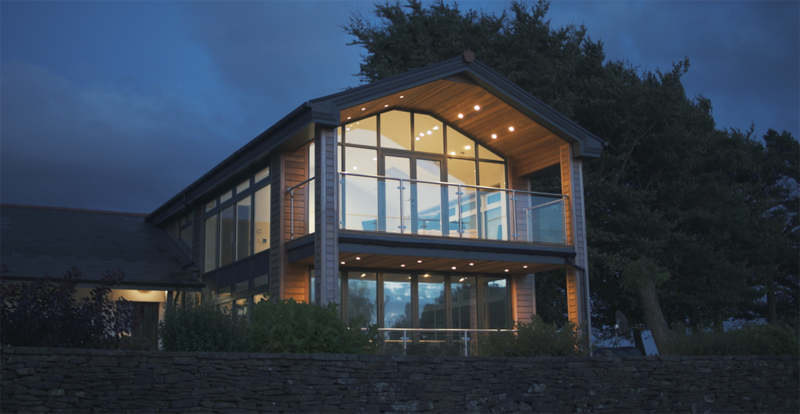 From the solar-powered Velux windows to the cedar cladding, glass balustrade and stone patio, the vision integrated high-end contemporary style with the natural, green surroundings of the property. 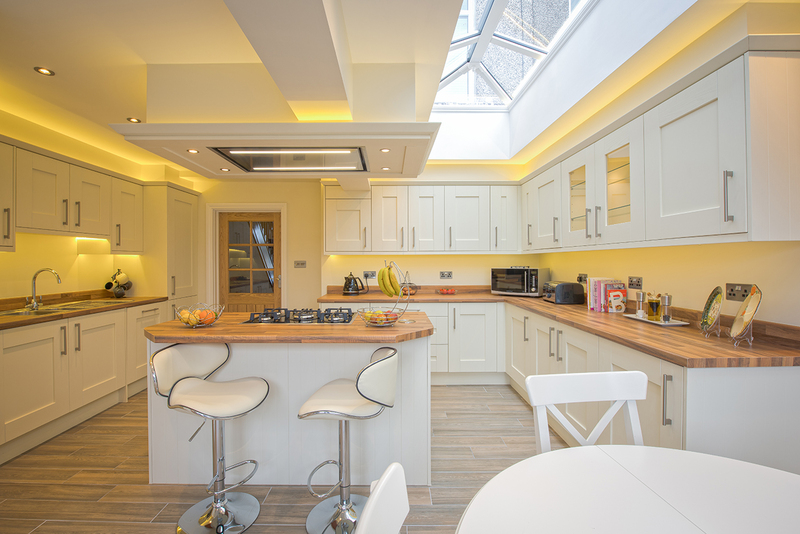 The kitchen and Sunroom project we completed for Mr Jenkins was another of our favourites from 2017. With a timeless contemporary cottage look, the development also created a significant amount of space and living area, which enhanced the living dynamic within the home. 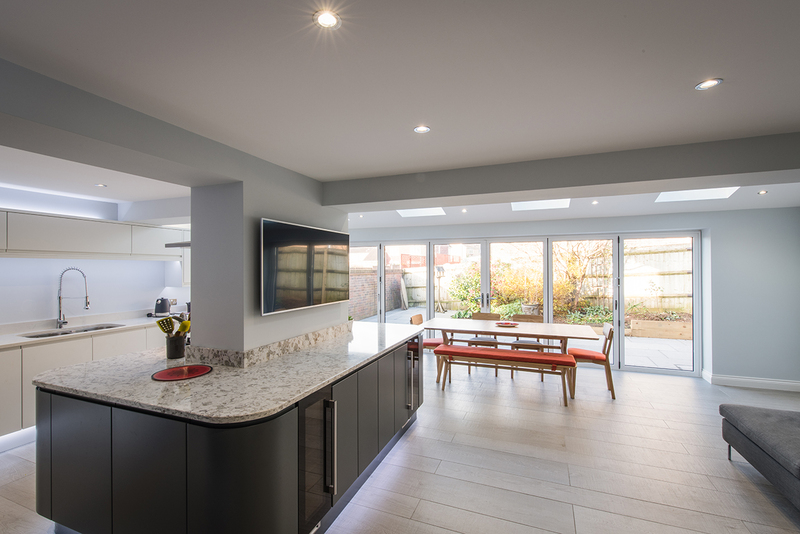 Combining chic slate grey with white matt finishes, marble surfaces and leading kitchen technology, the Kitchen/Diner and Sunroom at Sycamore Close was a project where we could inject some urban flair. 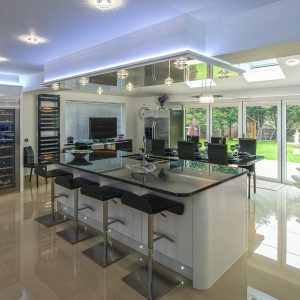 The bespoke island’s position creates a second Lounge area, with plenty of space to watch the big screen while the evening meal is being prepared. The Dining area itself sits in the well-lit area of the Sunroom extension and looks out onto the patio for atmospheric eating. 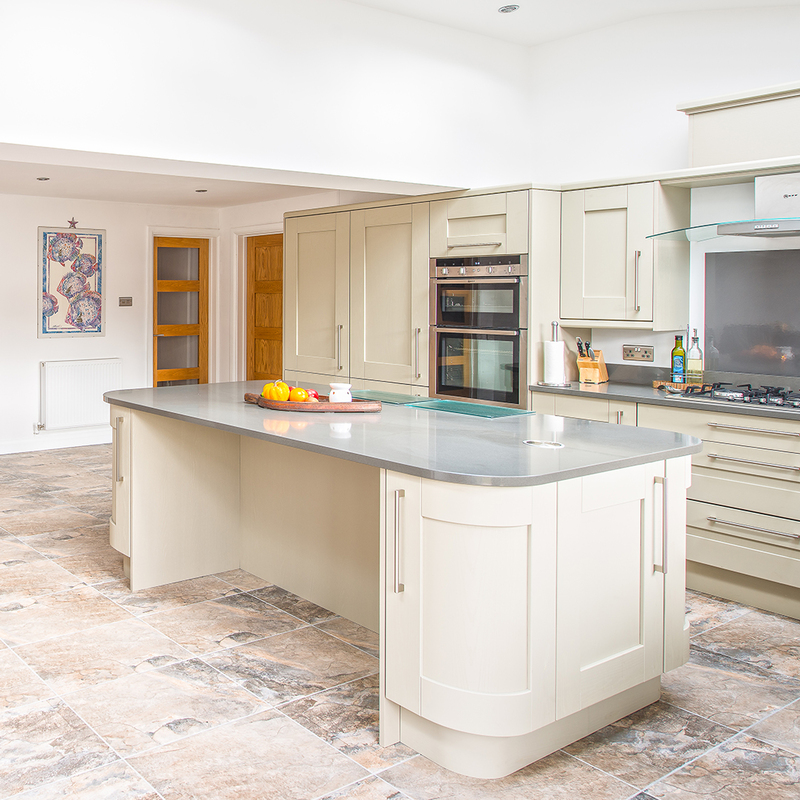 We completed many developments this year with a bespoke island in the kitchen. This is an element we love to include in our projects. The island acts as a multi-purpose zone in the kitchen, which also helps to separate the kitchen from the dining area. The island is a perfect prep point for cooking a splendid meal for the family or an early morning chat serving as a breakfast bar. After a stressful day, there is nothing like taking time to relax and soak the day’s stresses away within the calming sanctuary of your luxury, fitted bathroom. 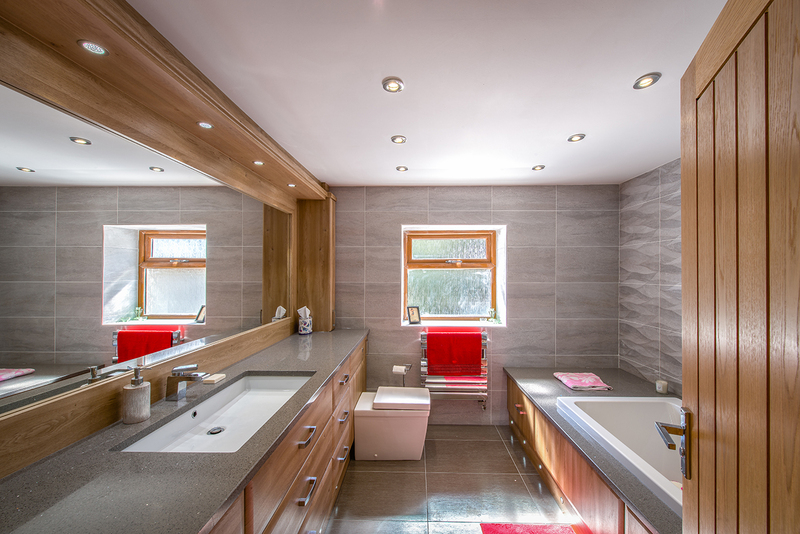 We were delighted to have completed so many of these bathroom sanctuaries this year. 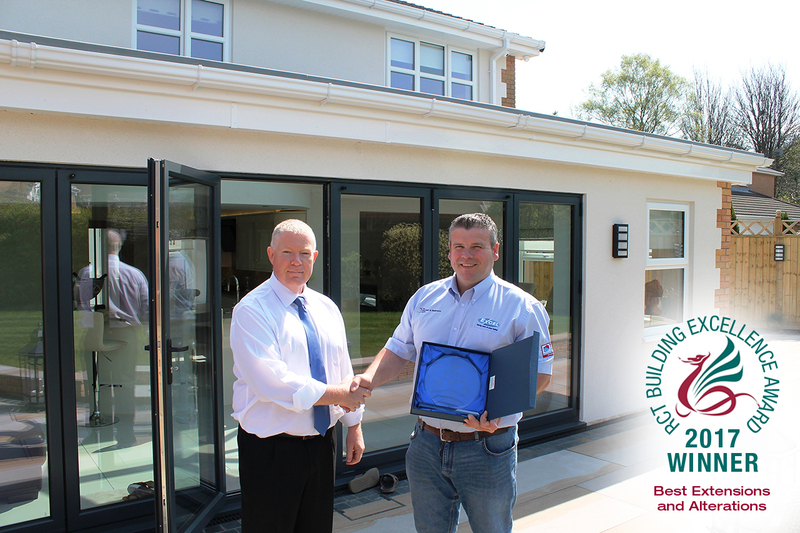 In April we were delighted to win the RCT Building Excellence Awards 2017 in the category of “Best Extensions and Alterations”. 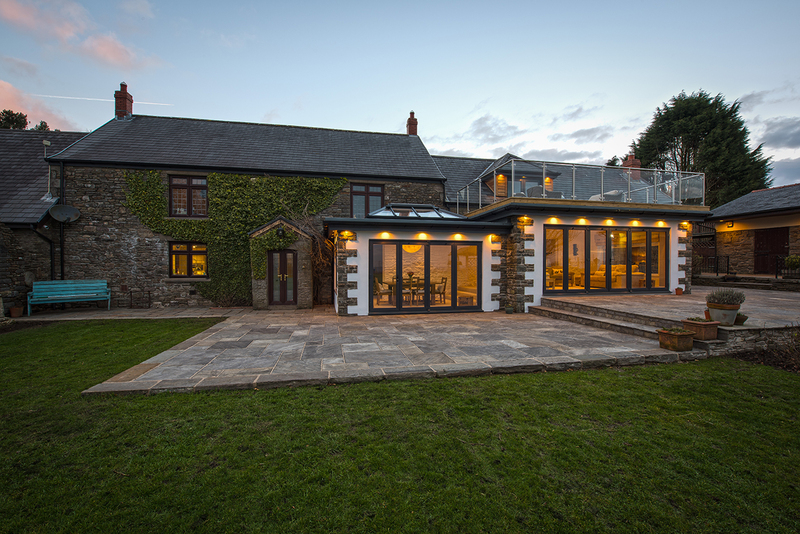 The property for which we won the award was a stunning, full renovation. The result and award is testimony to the teamwork, skill, craftsmanship and hard work of the whole team at Excel Home Design. 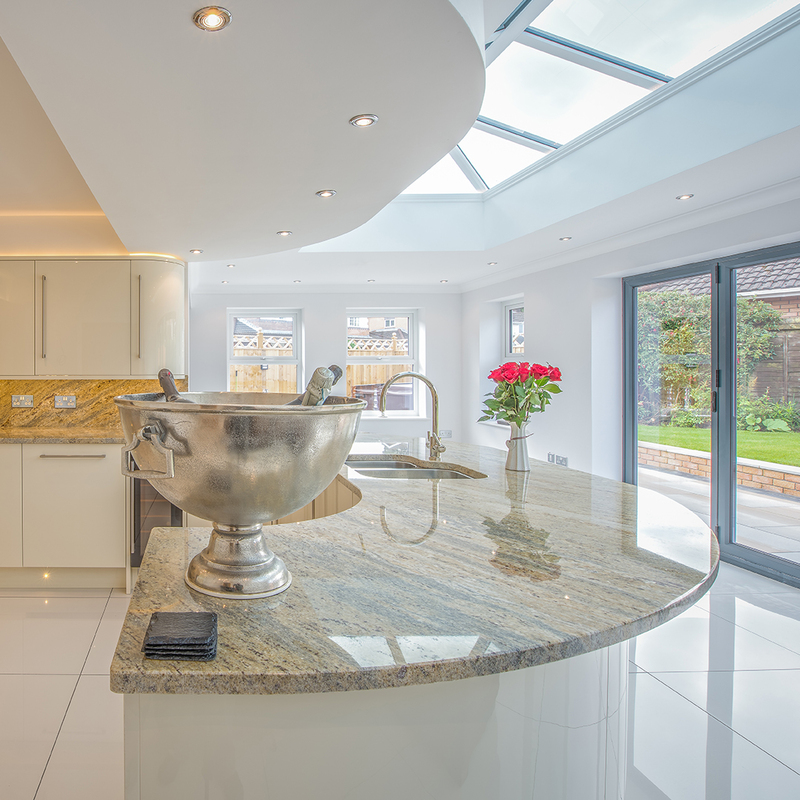 The project itself is one of our favourites to have been undertaken for some great customers. 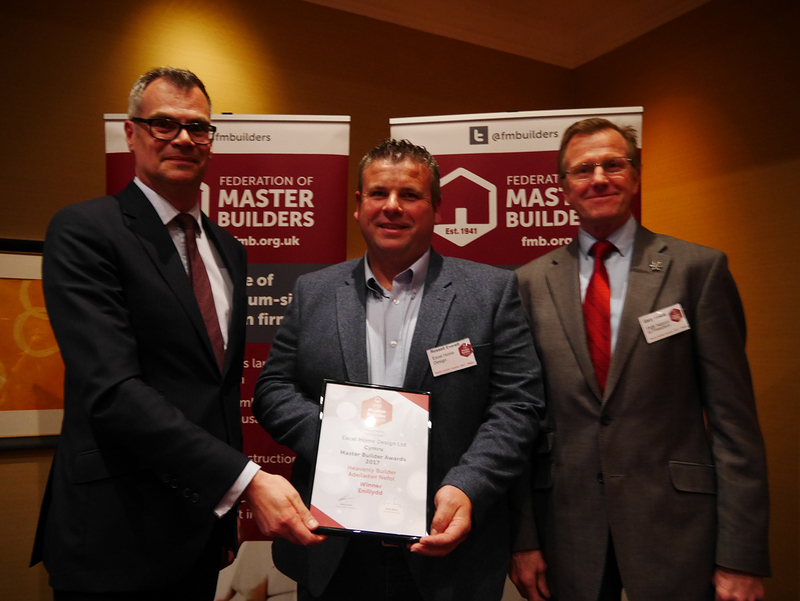 May 2017 was again a very humbling month for us and another reminder of the strength of our team, when we were delighted to be named the most Heavenly Builder in Wales as part of the Federation of Master Builders (FMB) Master Builder Awards 2017. Organised by the FMB, the awards programme is unique in that any project entered by the builder must be endorsed by the customer – giving home owners the opportunity to support those building companies that have delivered exceptional results. The Heavenly Builder category is one in which the winner epitomises what the awards are all about, as it looks for evidence of professionalism, courtesy and exceptional customer service. We saw off some tough competition to claim the region’s Heavenly Builder Award thanks to the dedication and considered approach of the whole team at Excel Home Design. We are grateful to Mr & Mrs Hopkin for these kind words which helped us win this prestigious award. This year we became members of the world’s largest and most influential professional body for construction management and leadership, the Chartered Institute of Building. We are delighted to be among such good company with membership of this body of professionals. With so many new projects ahead of us in 2017 and an increasing number of exciting opportunities on the table, we were in a position where we could grow our team to meet the demand for our services while upholding our high standards of excellence. The team expanded with a full-time kitchen fitting team and a full-time team of bricklayers. The Excel team now has 22 full-time professionals, with access to a broader team of 30 which includes architects and construction professionals. We have been delighted with the way the new team members have fitted in, and are looking to further extend the team in 2018. We feel blessed to have a number of exciting projects already in the pipeline for 2018 and are looking forward to seeing the work and craft of our professionals in the Excel team as they create more Designs For Living. If you have a home you wish to transform then please contact us for a FREE quote.